Today, I am featuring the cutest little Etsy shop. Brittany is just starting out in her shop and she's giving one of you lucky winners a giveaway! 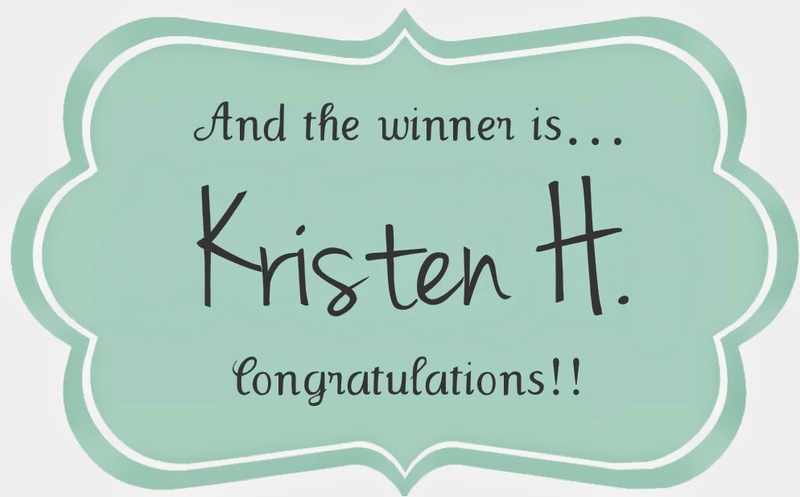 Real quick though let me first announce the winner of the Triple Bead Turquoise Bracelet. Kristen I've emailed you to obtain your information. Hello everyone, I am so happy to be here today! Allie has been kind enough to invite me over to talk a little about my blog and new Etsy Shop. My name is Brittany Coughlin and I blog over at Just Be Crafty where I post about my latest crafty creations. I have a slight weakness for anything yarn related, so you'll most likely find some sort of knit or crochet project in the majority of my posts. Last month I opened the Just Be Crafty Shop on Etsy where I sell Knitted Bow Headbands and Crochet Market Totes. To kick off the grand opening of my shop I will be giving away three Knitted Bow Headbands to one of Allie's lucky readers! The Knitted Bow Headband is the perfect accessory to brighten up your spring and summer wardrobe! One size fits all and can be worn as either a headband or bow tie. All bows come with a removable 25 inch crochet chain that can be tied around your head or collar. If you want to style one of these bows but don't want to wear it as a headband or bow tie, just slide the crochet chain off the bow and insert a bobby pin in it's place. Then pin in your hair like you normally would. 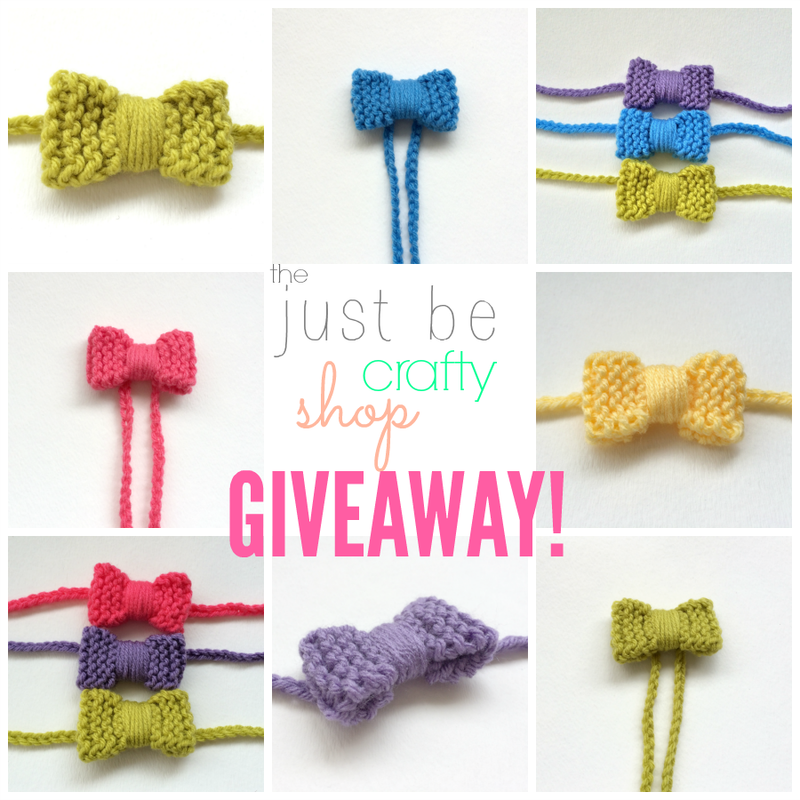 The winner of the giveaway will get to select three bows in the colors of their choice which can be seen in the Just Be Crafty Shop. Good luck!! The giveaway will run until May 19th! Happy I found your blog!! Love all the resources and I know what you mean loving your kiddos even if they don't let you craft!! LOL!! Hugs from Costa Rica! Awe, well thanks for stopping by, and complimenting my blog! I'm about to go and visit yours! I absolutely love a bow! Thanks for sharing this. OMG! Your products are absolutely adorable. I just went through your shop and I was blown away by how cute your listings are. I'm pretty sure that those are big hits and will be gone in no time. You even made a give-away! How nice! I hope your shop continues to prosper!